Do you have a child, or know a child between the age of 11 and 18 that would like some good clean fun? 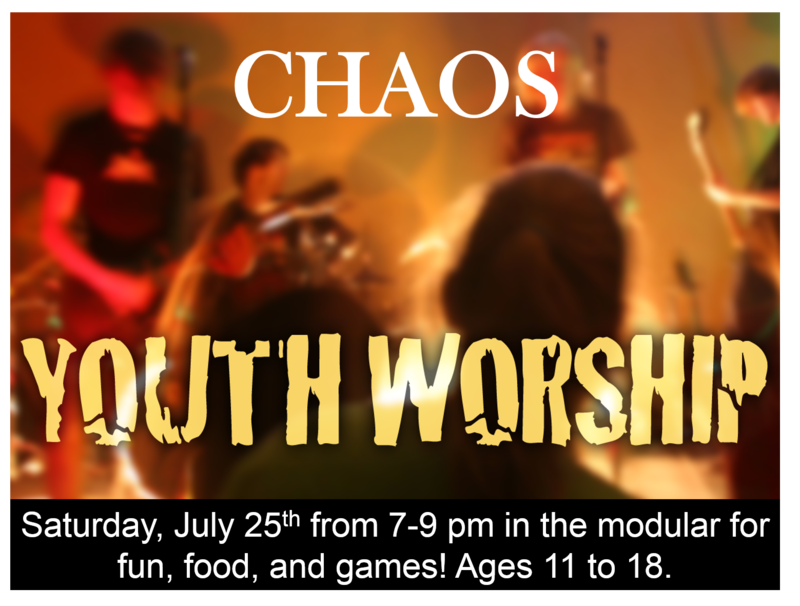 CHAOS is our Church’s Youth Group, and they are having a meeting this Saturday in the modular from 7 – 9 pm. They will have fun, food, and games! If you’re already attending, bring a friend and have fun!